Mix the olives, capers, lemon juice, paprika onions, and cilantro. Season the chicken with salt and pepper. Pour the marinade over the chicken and bake in a 375 oven for about 75 minutes. 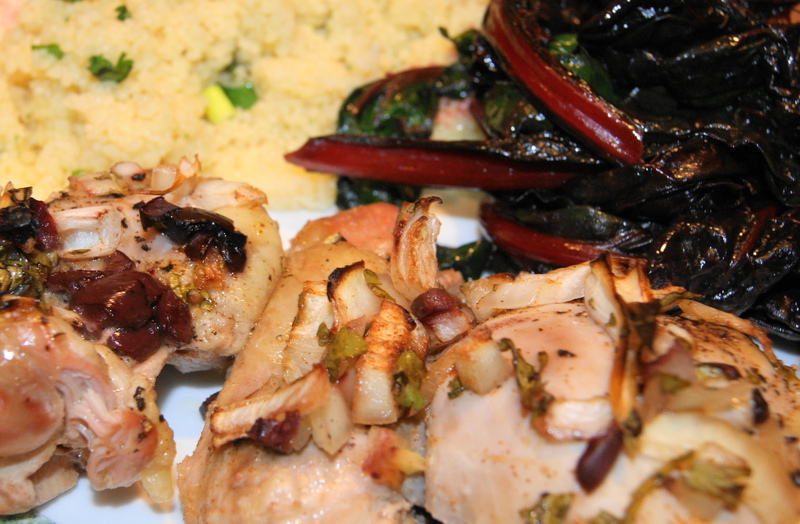 Serve with vegetable couscous and swish chard.